One of my COPD patients was asking me about purchasing a portable/travel concentrator such as this one. Have you had much experience or feedback with portable oxygen concentrators? This 61 y/o man was sent to our office by ENT for w/up of a vocal cord paralysis. He has had subacute-onset hoarseness for the past 2-3 months and ENT found a unilateral R vocal cord paralysis. 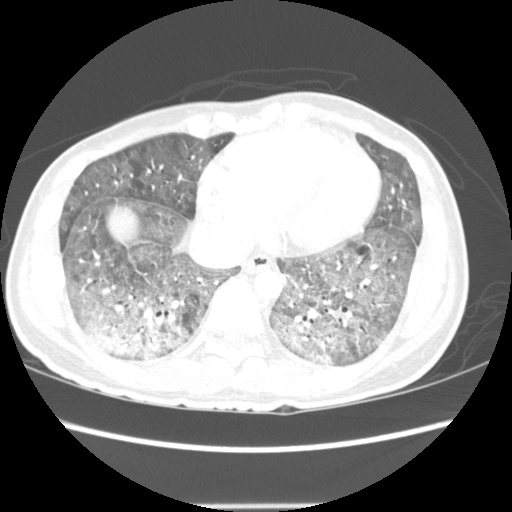 He did a CT (see the images below), which only showed some mediastinal and hilar (R>L) adenopathy much of which is calcified. Have you had a lot of experience with Requip (ropinirole) for restless leg syndrome? If not, what is your preferred therapy fro RLS? 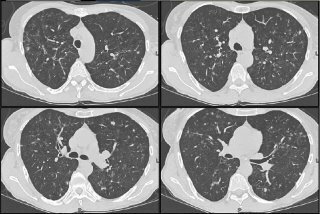 43 year old presented with 6 weeks of progressive dyspnea associated with URI-type symptoms. Had recieved several courses of antibiotics as an outpatient. No fever/chills. + non-productive cough. No associated s/s. Non-smoker. No occupational exposure. On presentation, he was hypotensive, but alert and oriented. His was quite comfortatble despite profound hypoxia (initial oxygen saturation of 62% on room air). 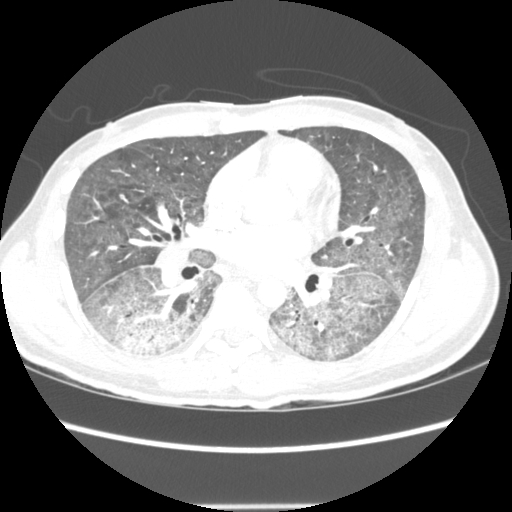 Physical exam has some scattered rales. WBC is 4, without a shift. Blood count and platelets are normal. He is hypoxic, requiring up to 100% supplemental oxygen by non-rebreather to maintain a pO2 in the 60's. His ventilation is adequate, with a pCO2 of 42 and a pH of 7.39. 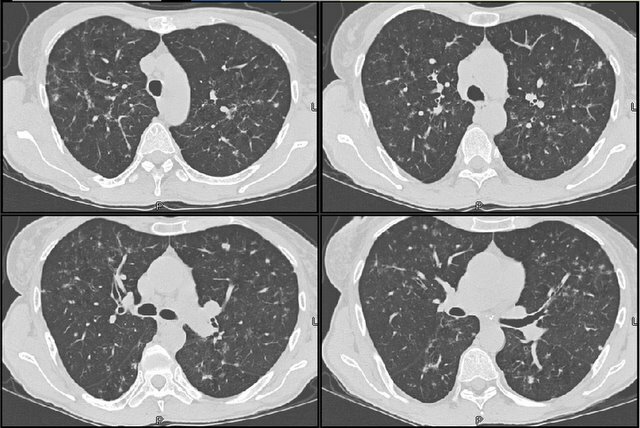 This is the 51 y/o woman with COPD and pulmonary nodules. We had the same concerns and DDx as proposed in the discussion. 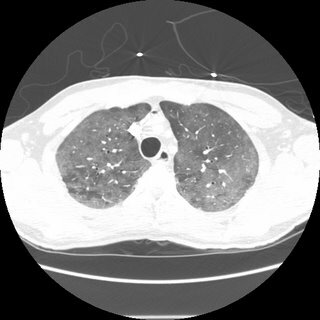 I did a bronchoscopy and we got good samples consistent with RB-ILD. She was counselled again regarding TOB cessation and agreed to try varenicline. She will follow-up in a few weeks and we will monitor her CxR and PFTs. This is a 51 y/o woman followed in our office for moderate COPD. She continues to smoke and has had worsening dyspnea and weight loss for a couple months. Her CxR and CT scan, which in the past showed hyperinflation and nothing else, now have these pulmonary nodules. What is your DDx and wht would you do next?